Why study at University of Tartu? The University of Tartu was founded in 1632. Now it is Estonia’s leading center of research and training. The Faculty of Family Medicine was opened in 1992. The subject of family medicine starts in the second academic year with an introductory course and continues in the sixth year. Residency of family medicine lasts three years and PhD studies four years. 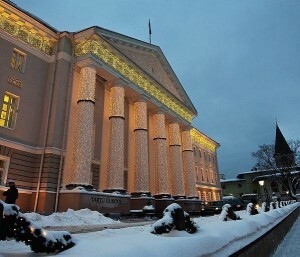 The University of Tartu has an International programme in medicine. For a clerkship Estonian language skills must be good. For a research elective a knowledge of the English language will be sufficient. Accommodation in the university’s dormitories is possible. It is also possible to stay at the university hostel, rent a flat or use bed and breakfast-type accommodation.